WEATHER; cloudy to start, then clear later. Should have been 25C but felt like 15C with a cold wind. A slight misjudgement had the group up and ready for a walk in the grounds of the finca at 6am but it was still pitch-black and remained so until 7am, so we went in for breakfast before taking a walk in the grounds. It was a lovely still morning full of bird song, a bit chilly but no wind or rain in sight. Over the 45 minutes that we spent walking along the main track we saw a number of lovely songsters. 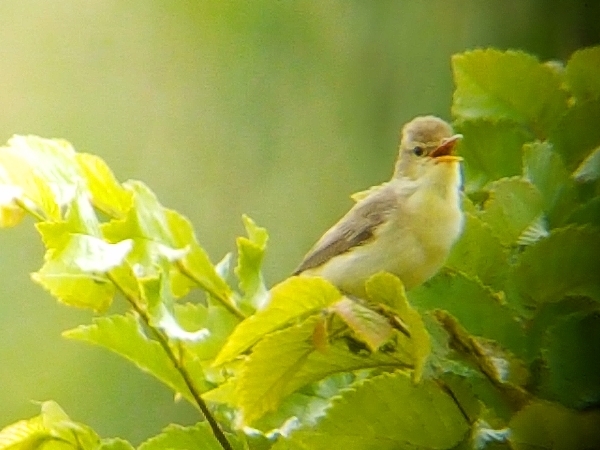 Watching Common Nightingale, Melodious Warbler, Golden Oriole and Woodlark (heard but not seen) was just a starter. We found a pair of Hawfinches, we saw Common Cuckoo, Eurasian Hoopoe, Woodchat Shrike, Sardinian Warbler, Greenfinch, Linnet and Goldfinch. Red-rumped Swallows posed on the wires whilst Iberian Magpies dashed about everywhere and a Zitting Cisticola was not being left off our list as it posed very close to us. Belen Plain was just great, even though the grass was much longer than when I was here on my two previous visits this year. It was also brown grass now, but still many flowers bloomed and the bird song was just as good. We arrived around 8:30am and parked the bus on the brow of hill which gave us a commanding view over the surrounding grasslands. Within a few minutes we located a single Great Bustard and shortly afterwards we found a male Little Bustard. Both birds we far away and our views were with the ‘scope but it was good light and we saw them well. A Little Owl sat out on a wall quite close to us. Hoopoes were calling loudly and the number of larks singing was incredible, mainly Calandra Larks but also Crested and Thekla, also Corn Buntings. Black Kites were were-present, they sat on posts or drifted over the grassland, a few Griffon Vultures joined several Black Vultures in the air, we also Common Buzzard and many Swallows and Swifts. Driving further onto the plains we turned onto a side-track where we walked for a kilometer or so. 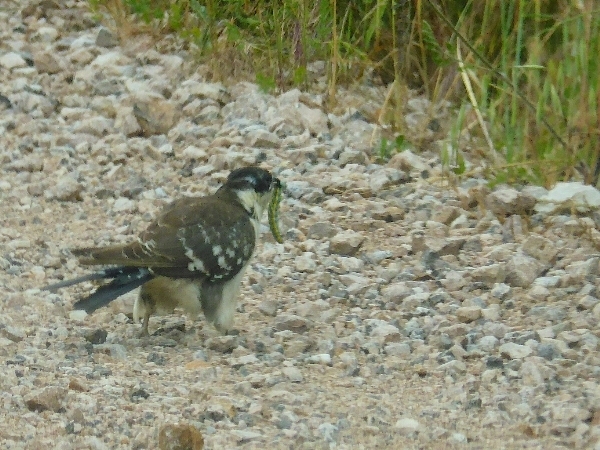 More larks were seen also Iberian Grey Shrike, Common Stonechats and Eurasian Magpies. 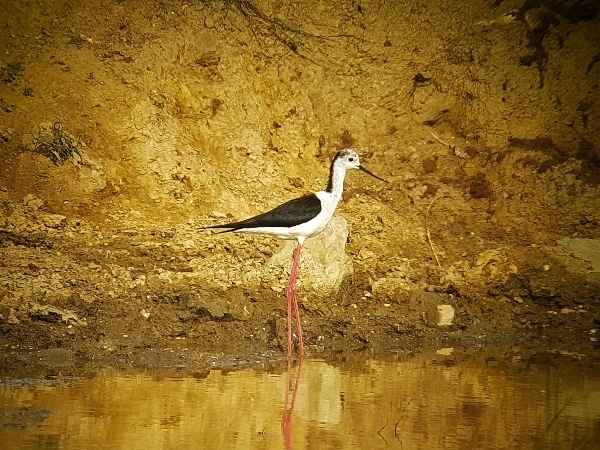 A few birds flying over us included: Black-winged Stilt, Grey Heron and a pair of Egyptian Geese (now regular breeders in the area). A small copse of oak trees held many roosting Black Kites and Griffon Vultures and a lake held a family party of Little Grebes. From there we drove back to the main road and crossed it to another track. From this track we added Marsh Harrier and Bee-eaters to the list, also Red Kite and a Common Kestrel. After driving into Trujillo from Belen we headed west towards Caseres stopping at Bridge just out of Trujillo which spanned the Rio Magascar. A very showy Common Nightingale and a beautiful Melodious Warbler were the star birds, but we also saw Red-rumped Swallow, Cetti’s Warbler (seen by one group member) and lots of small flocks of Spanish Sparrows. Everywhere you looked there were raptors in the sky along with many White Storks, we saw a couple Booted Eagles and later a pair of Short-toed Eagles as well as good numbers of vultures. The plains of Santa Marta didn’t produce anything much except for Great Bustards. 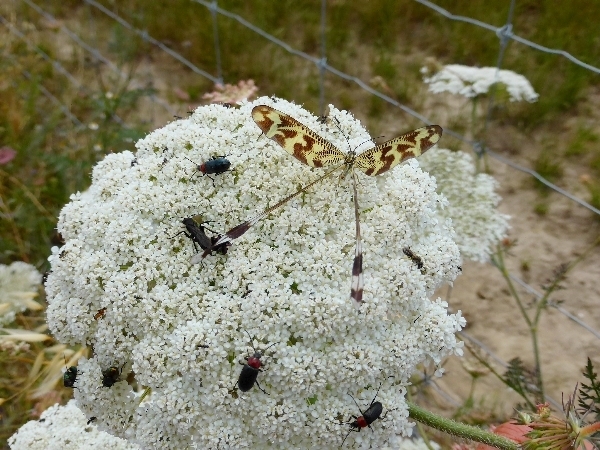 A male started displaying when a female appeared, it was a marvellous sight and one quite unexpected. A coffee-stop in Santa Marta de Magascar was followed by a drive to the Santa Marta Plains, along the way we stopped at bridge over the river to look for more species. 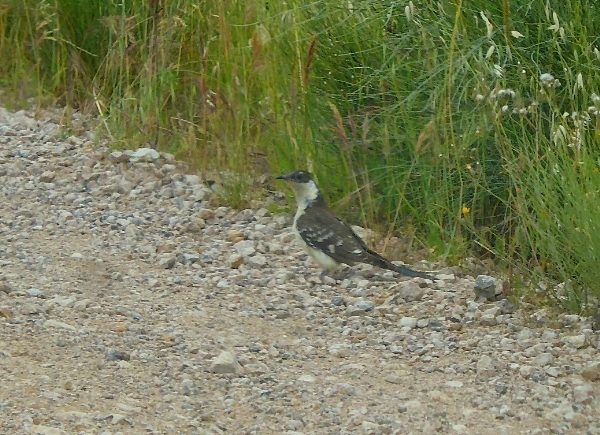 We found Crag Martin, Grey Wagtail, White Wagtail, our first Moorhen and not much else. We did find a Grass Snake, some European Pond Terrapins and a bunch of Marsh Frogs. Moving on we made a trip down ‘Roller-Ally’ where approx. 500 nest boxes have been provided for the European Roller. Dozens were occupied, we had great views of Rollers but we also noted Lesser Kestrel, Eurasian Jackdaw and Spotless Starling were using the boxes too. For the next two hours we drove along a dirt track that led us to Caseres, along this road we had many birding highlights it was a great trip. 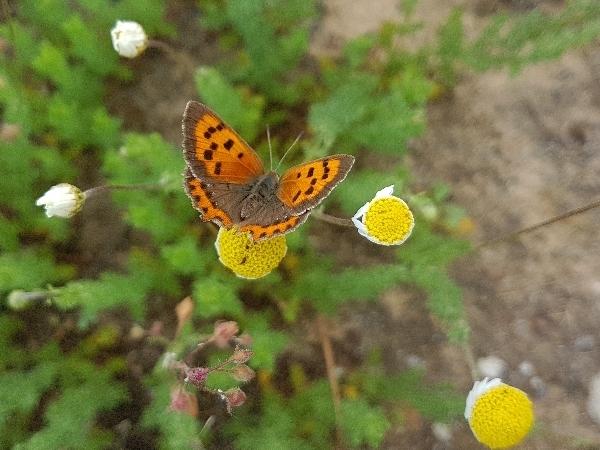 The main highlights were sightings of GREAT SPOTTED CUCKOO, we saw two of them but the first one allowed close approach as it hopped along the grass verge picking out caterpillars from the grass, a superb find and a wonderful sighting. On two occasions we found very large eagles, the first was a 2cy Golden Eagle and second was 2cy Spanish Imperial Eagle, both were either brief or distant sightings, a pity really. A long this track we found a small number of Short-toed Larks and a single Tawny Pipit. 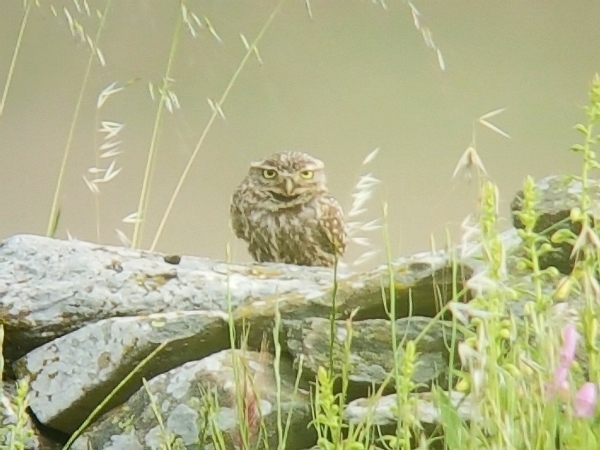 More Little Owls were found as well as Hoopes, Common Kestrels and Bee-eaters. 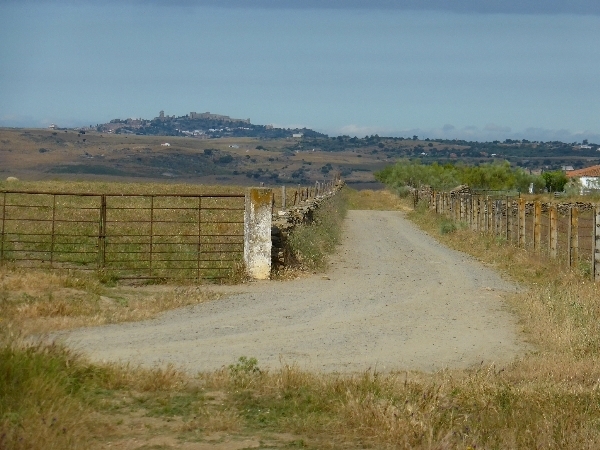 It was almost 5pm when we got to Caseres so we drove straight back to the finca some 50 minutes away. 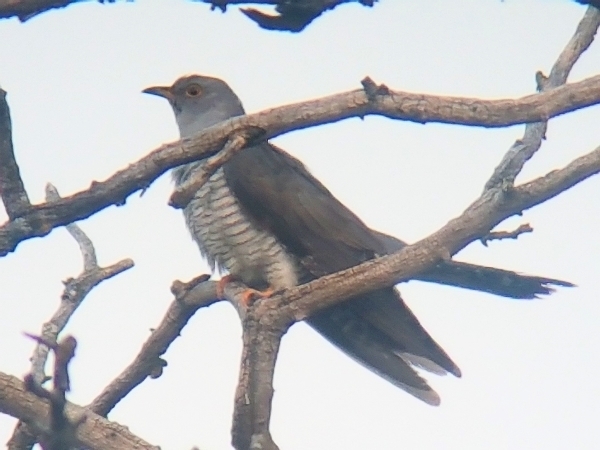 It had been a great day, some great sighting were made, not surprisingly, the Cuckoo was named ‘bird of the day’ by the group.